Abnormality Judgement = Continue for 5 sec. E12: Automatic address setting start is prohibited while auto-address setting in progress. The following symptoms do not indicate malfunction. Symptom: Mist emerges from indoor unit. Symptom: Water fl owing sound during operation. Cause: Refrigerant fl ow inside the unit. 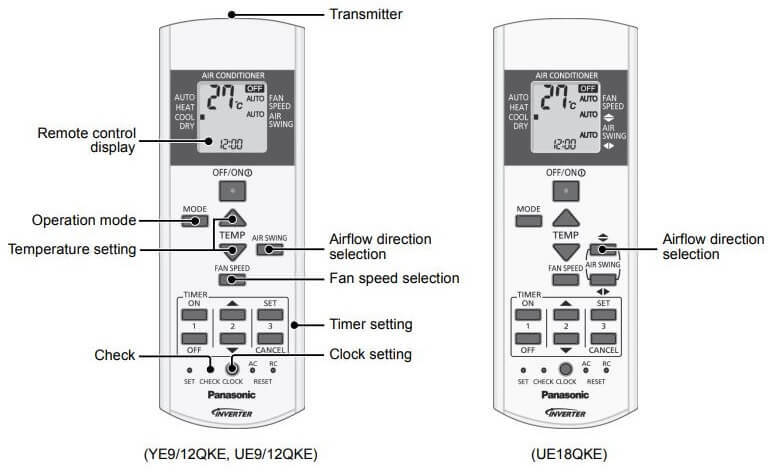 Symptom: Indoor fan stops occasionally during automatic fan speed setting. Cause: Extraction of remaining heat from the indoor unit (maximum 30 seconds). Cause: The delay is a protection to the unit’s compressor. Cause: The unit is in defrost mode (and AIR SWING is set to AUTO). Symptom: Indoor fan stops occasionally during heating operation. Symptom: POWER indicator blinks before the unit is switched on. Clean or replace the fi lters. 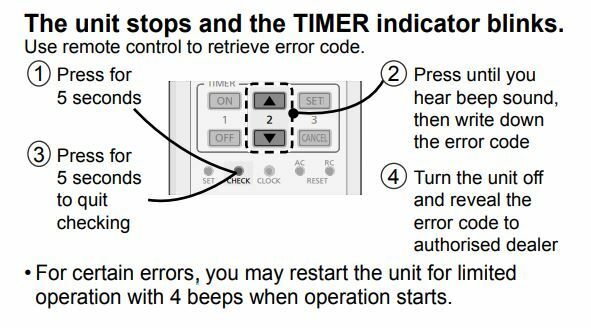 Check if the circuit breaker is tripped. 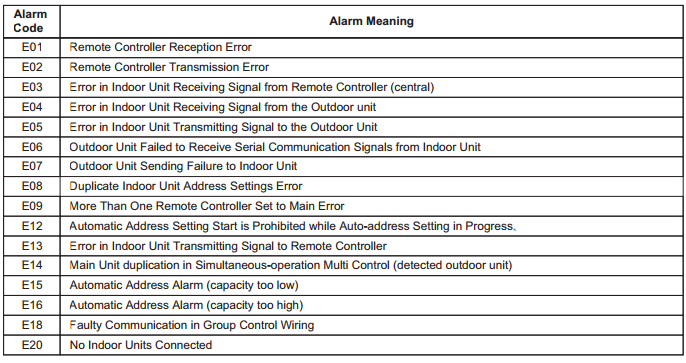 Symptom: The unit does not receive the signal from the remote control. Make sure the receiver is not obstructed. Panasonic CS.E28NFQ 3Hp stand air con Error H 55. What is it? What is error code H00?